Ottimo at West View, the new restaurant at the ITC Maurya comes as a beautiful surprise, one that's chock full of flavour and textures. Nostalgia and delicious food make for a happy coupling, especially when it's a case of good music meeting great food. 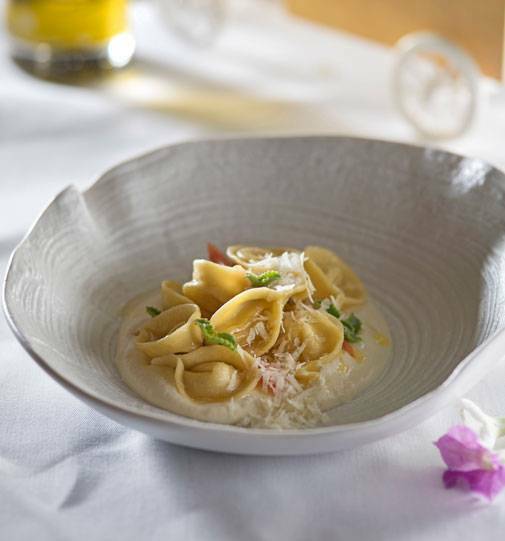 Italian food has lost some of its favour in India as jaded pastas, pizzas and salads are thrown up by almost everyone, from pure-bred Italian restaurants, to cafes and even that monster labelled 'multi-cuisine'. Which is why, Ottimo at West View, the new restaurant at the ITC Maurya comes as a beautiful surprise, one that's chock full of flavour and textures. You could be forgiven for thinking the interiors are a bit dull, but very rarely do 5-star hotels focus on making restaurants look new-age. If you are headed here in the cooler months, do book a table outdoors, on the terrace, which is intimate and fantastic. The bread basket, with its soft, buttery cheesy bread sticks and in house bread is served with a pesto and tomato dip and is a good way to kick off your Italian feast. Begin with the insalata di gamberi con e burrata e cipolla bruciata which is a warm prawn salad served with burrata, greens and burnt onion. Light, flavourful and the kind that melts in your mouth, given the quality of prawns being used. 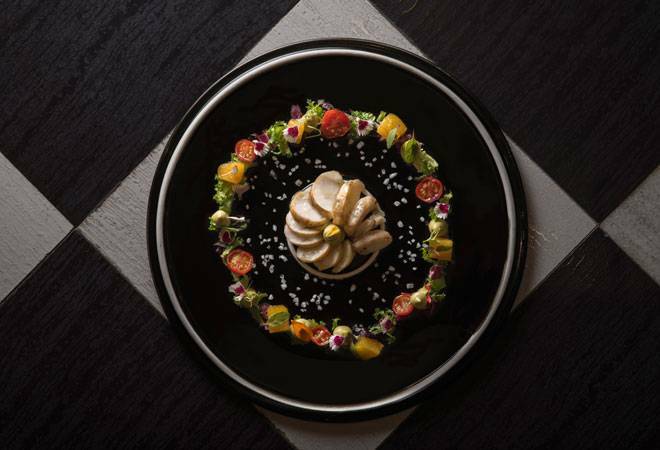 The scallops layered with pecorino cheese, chorizo and black truffles is another seafood lover's fantasy come alive, with produce that literally sings on the plate. The wild mushroom and black truffle soup is grainy, rich and earthy but you could well skip it as it is similar to what you can find at a standalone Italian restaurant. Pizzas are a curious thing and while many restaurants have perfected the thin-crust, wood fire flavour, most pizzas end up being dry and fail to hit the awesome mark. The tomato, mascarpone, mozzarella and Parma ham pizza is a must try and remains one of the standout dishes on the broad menu. The dollop of warm mascarpone just lifts the entire dish, giving it fullness and acting as a foil to the salty Parma ham. 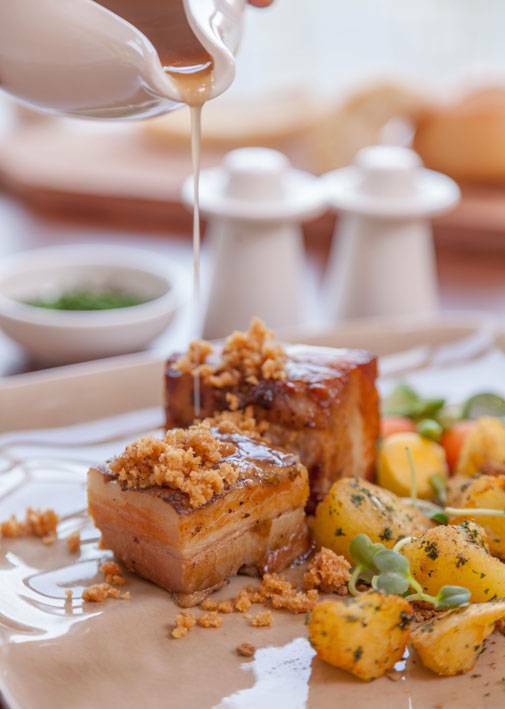 If you still have the appetite for mains, dive into the slow cooked pork belly with red wine, honey and crackling potato or choose from one of the many seafood or vegetarian options. Those who are more conservative in their choices would do well to stick to a pasta or risotto as there are options galore on the menu. 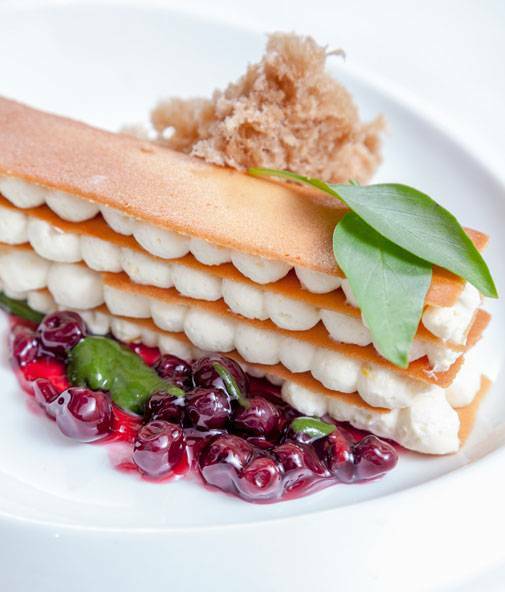 No Italian meal is complete without a generous helping of tiramisu and at Ottimo, that is once again a dessert worth going back for; sweet, smooth criminal. The fresh sorbets and gelatos are also recommended but the panna cotta can be given a miss. What endears you to the meal at Ottimo is the overall experience, with a bustling live kitchen giving you a slice of the action at all times and live music that is truly fantastic. That the Italian chef makes it a point to visit each table and offer recommendations and take feedback is also a sign that the restaurant cares about what its patrons think. A must visit if you want to splurge on a special meal that ticks all the boxes.